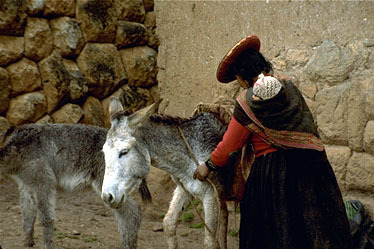 Ebeth from Chinchero has been learning her village patterns by making jakimas, narrow ribbons of weaving. 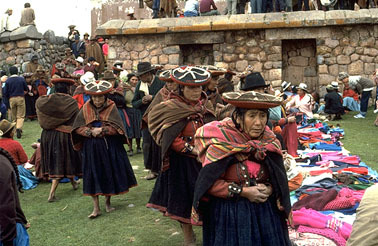 At the market, the young weaver shows them to a visitor, hoping to make a sale. 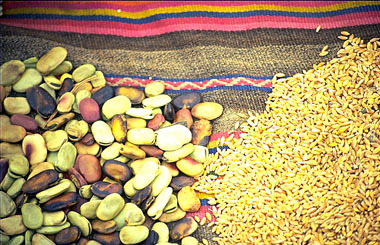 Since many weavers come from farming families who barter for the goods they need, there are limited ways to obtain money. 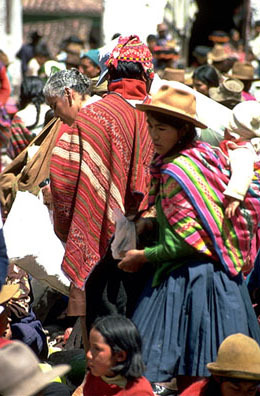 Young people try to sell weavings to buy school supplies, especially pencils and notebooks. 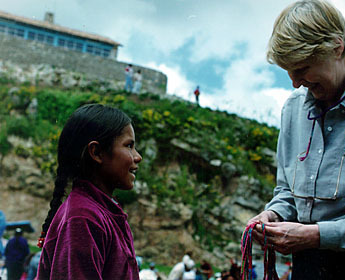 In recent years children in Chinchero have learned how to make “friendship bracelets” (a technique foreign to Chinchero) instead of weaving jakimas. The Center for Traditional Textiles is trying to discourage this practice. Learning patterns by making jakamas is a necessary step in becoming a skilled weaver. 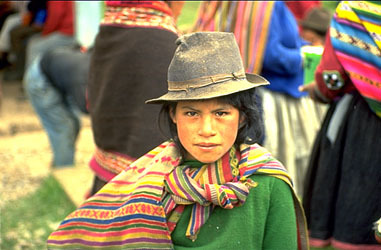 To encourage young people to continue weaving, The Center for Traditional Textiles helps them to sell their jakimas.